Full Professor, Faculty of Information & Media Studies, The University of Western Ontario. Research Scholar, Centre for Research and Education on Violence Against Women and Children, Faculty of Education, The University of Western Ontario. Nadine Wathen, PhD has been a family violence researcher for over 15 years. As a professor in the Faculty of Information & Media Studies at Western University, founding Coordinator of its Joint Graduate Program in Health Information Science, and a Member of the College of the Royal Society of Canada, Nadine works to develop better evidence to support the health sector response to family violence. Motivated by principles of social justice, she seeks to find better ways to support women and children exposed to violence and to address the systemic and social structures that perpetuate violence. Nadine is strongly committed to mobilizing new research evidence by developing and testing processes of knowledge translation and exchange (KTE). Her research is aligned to the health sector primarily as it is a key place where women and children can seek help. She also believes that the workplace is an important venue to disrupt the patterns of violence that have an impact for workers in terms of stress, productivity and economic impact. In her work with CREVAWC, she is Research Lead of the SSHRC-funded DV@Work Network, and the Canadian DV@Work Survey, and is driven by its commitment to action-oriented research, and the need to develop a robust evidence base to support better practices and policies in Canadian workplaces to prevent violence and its consequences. Additionally, Nadine is a co-principal investigator of the Canadian Institutes of Health Research (CIHR)-funded Preventing Violence Across the Lifespan (PreVAiL) Research Network (www.prevailresearch.ca). She leads the KTE Theme area, which brings together PreVAiL’s 40-plus researchers with a group of over 20 national and international-level knowledge-user partners to develop and evaluate KTE strategies in the area of violence, gender and mental health. She is also national co-Lead of the VEGA Project (www.projectVEGA.ca), funded by the Public Health Agency of Canada to develop family violence guidance and curriculum for health and social service providers. 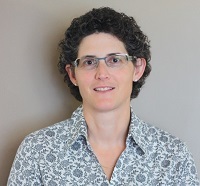 She is also Co-Principal Investigator of the CIHR-funded program EQUIP Healthcare: Research to Equip Primary Health Care for Equity (http://equiphealthcare.ca/), which is implementing and evaluating an intervention focused on trauma and violence-informed, culturally safe care to enhance health equity among marginalized populations.